I’ve had an anxious mind, ever since I can remember. Long before I even knew what “anxiety” was, that it was a “thing” or that I’m not the only one who tends to overthink certain things, to a sometimes obsessive degree. After making a lot of lifestyle changes over the years, I finally began to feel like my anxiety was a thing of the past. Yes, I’d still get anxious from time to time, but it was nothing that would keep me up at night. I knew that as long as I take care of myself, keep myself happy by sticking to my routine, my anxiety was under control. And then, in December, right before Christmas, I suddenly lost my grandmother. For months, before every time I went to sleep, I’d beg her to visit me in my dreams, I begged her to let me know that she is okay. All I wanted, was to talk to her one more time, to make sure she knew how much I loved her. I’d wake up in the middle of the night, bursting into tears as soon as I remembered that she’s gone. I think that was one of the things that made it so difficult for me to get any sleep during that first couple of weeks: I knew that if I fell asleep, I’ll eventually have to wake up. I’ll remember what happened, and will feel my heart burst into million pieces, time and time again. I feel like my life and I, myself, haven’t been the same since. And so, my anxiety came back. After I’ve given my grief some time, I started to worry about losing other people in my life. I’d stay up all night, worrying about everyone’s health, jobs, and overall wellbeing. Then, I began to feel like I’m back where I started: anxious and tired of feeling that way. The smallest of things would “sit” on my mind for days, I’d overanalyze and overthink every detail of my day. I think that one of the most frustrating things is not being able to fall asleep because you feel anxious, and THEN feeling anxious about not getting enough rest and waking up tired the next day. I finally had to take control and realized that the only way for things to get better, is by taking care of my mental wellbeing and going back to all those little routines and habits that seem so small and sometimes insignificant but make all the difference. 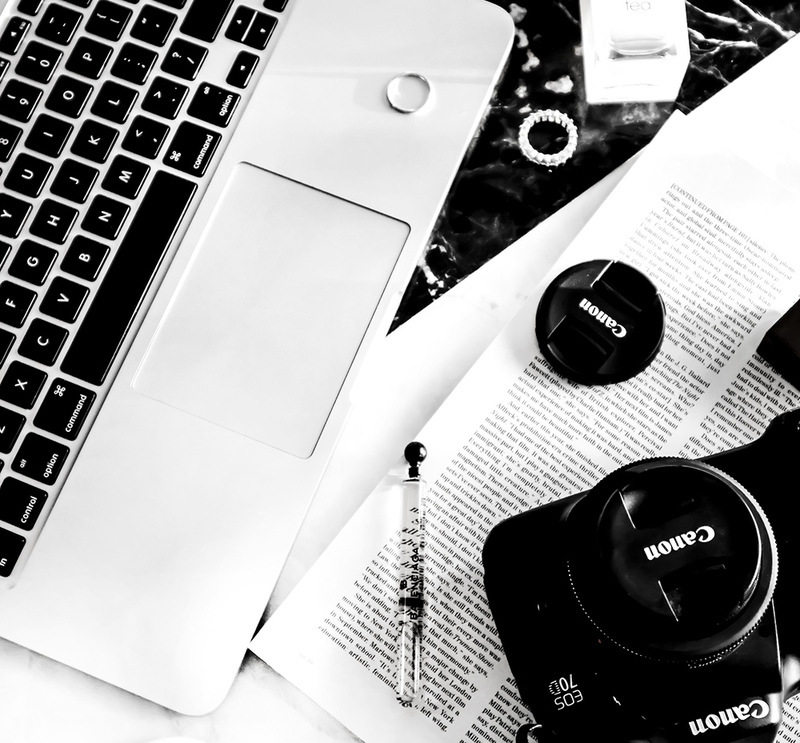 It can be your hectic schedule, your workload, or something personal you are going through- whatever it is that keeps you up at night or gives you nighttime anxiety, it can be worked through. In my experience, one the best things to help with bedtime anxiety is an unwinding routine. Don’t just shower and jump into bed. Let your body know that it’s time for bed, let it know that your day is coming to an end. Take your time with this. 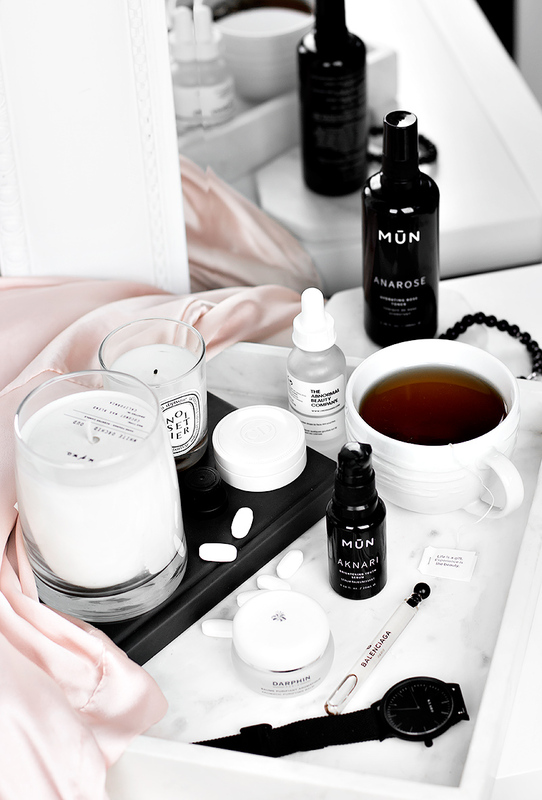 Reach for your favorite skincare products (I love using MUN products as part of my nighttime beauty routine- read all about them in my post about adult acne here + use my code “MUN13T” for a discount), give yourself a facial massage, do some gentle stretching, yoga. Diffuse some essential oils, practice a little bedtime self-care, meditate. You kind of have to take the time to shut off your brain. Once this becomes a regular routine, your body will start to recognize these little rituals as signals that it’s time to get ready for sleep. Coffee, energy drinks, and, when consumed in specific amounts, alcohol, most teas, can all act as stimulants. Avoid these for at least six-eight hours before bedtime. Instead, try herbal teas like peppermint or chamomile. 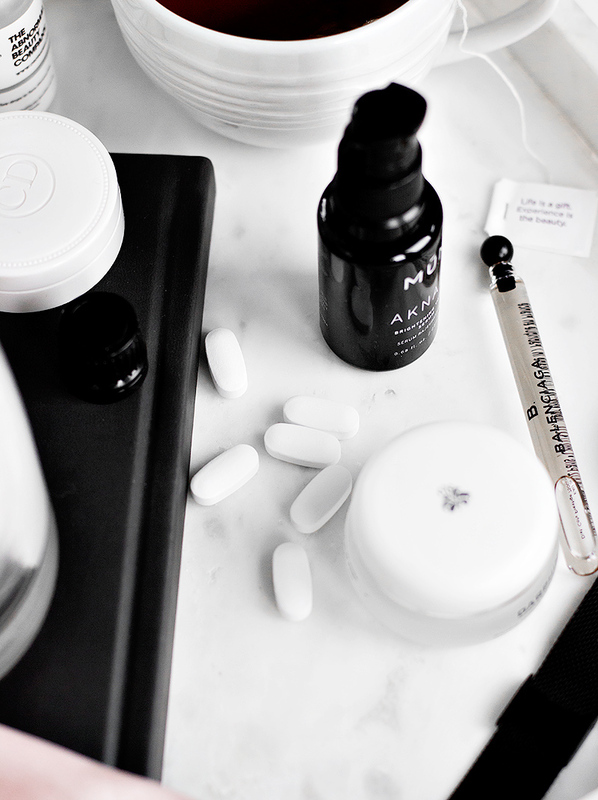 Magnesium is also one of my bedside necessities, especially after those long, stressful days. I take it nightly as a supplement or mix this powder with some warm water, you can also try magnesium oil. Magnesium will help your muscles relax and will gently ease the tension. Sleep and intimacy. Train your body to associate bed with sleep and rest- not stress and anxiety. If, after being in bed for 30 minutes, you can’t fall asleep, get up. Otherwise, your body will associate being in bed with feeling stressed. Do something soothing like folding laundry, coloring, reading- until you start feeling sleepy, then get back to your bed. If you can’t fall asleep and remain in bed, you’ll then start checking the time and will feel anxious about not getting enough rest. If you can’t relax because of your racing thoughts or worries, dump them. Get a journal, or even a piece of paper, and write out everything that’s on your mind. The routine of putting your thoughts down on paper itself, can help you feel more at ease. If you’re feeling anxious about something that happened during the day, write out your plan, or a to-do list for the next day. Eliminate visual stimuli from your routine. Don’t look at your phone, tablet, laptop. I spent years sleeping with my laptop next to my pillow and the concept of a restful night was a foreign one, to me. These days, I can’t imagine bringing “work” to bed, like I once used to. I keep my phone on my nightstand, but usually, don’t reach for it past 9 pm- especially since I discovered I can listen to my audiobooks on my Echo. If possible, try to stick to a similar schedule daily, and get to bed at the same time, every day. 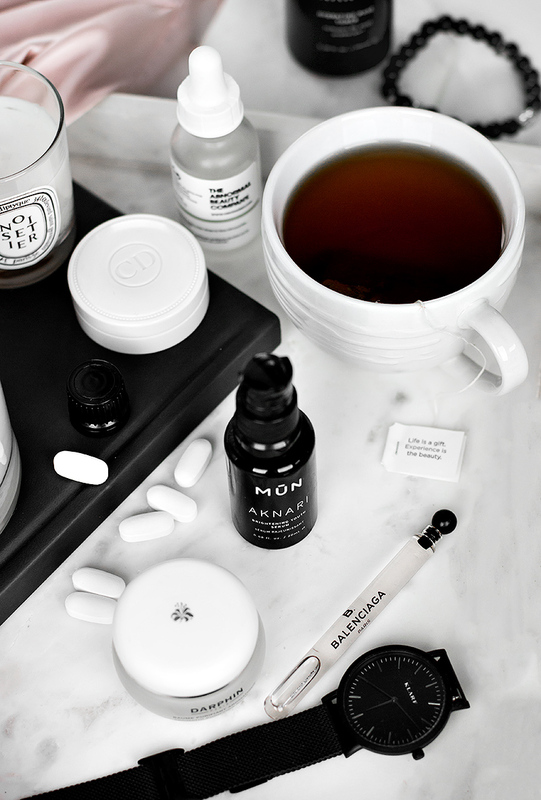 Here’s the downside to a tech-free nighttime routine: silence. I think that every person who suffers from anxiety would agree that being alone with your thoughts can be paralyzing at times. It’s literally, the last thing you want to do. When you’re lying in your bed at night, anxious thoughts running through your head, silence makes it so easy to notice everything else; every fear, every thought. Meditation has been a life-saver for me. When my heart and mind are both racing and won’t let my tired body get the rest it needs, I do a 10-minute meditation and start feeling better immediately after. If you absolutely cannot deal with complete silence, try an audiobook (and set a 15-30 minute timer) or play some soothing music/white noise. Seek professional help. Your body needs rest. Nighttime anxiety manifests itself in many different ways and if you just can’t cope with countless, restless nights, seek help. There’s no shame in looking for help if natural remedies or routine changes don’t help you. I know that for many people (and pretty much everyone I personally know), sleep comes easy. The moment my husband’s head touches his pillow, he’s falling asleep. I, in the meantime, am lying next to him, thinking: “why can’t it be this easy for me?” Your mind has such a strong power, that sometimes, it doesn’t even matter how tired you are physically, you just can’t fall asleep. I won’t say that my nights are always peaceful, but going to back to my routine and practicing some of these self-care rituals, has helped me feel a bit more like “the old” me. 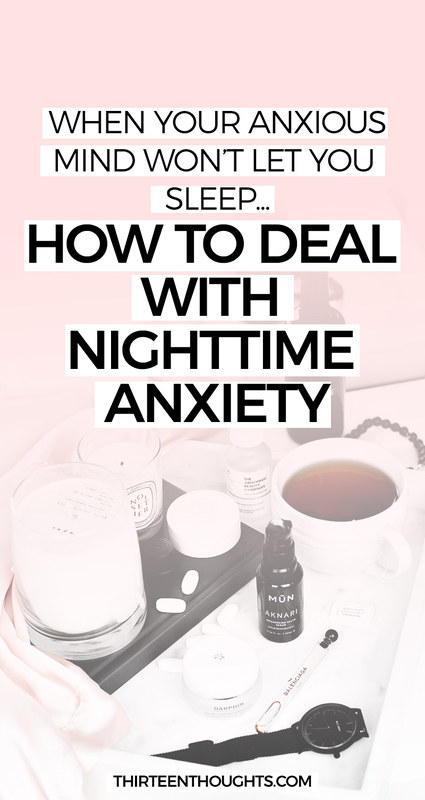 Do you deal with nighttime anxiety? Are there any bedtime rituals you look forward to, every night?